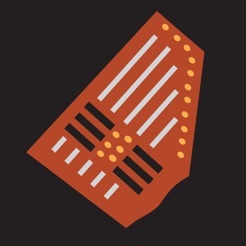 The iAutoharp is easy and fun to play; just tap a chord button and strum to hear that chord played as sweetly as if on the actual 37-string instrument. * Switch keys and chords effortlessly. 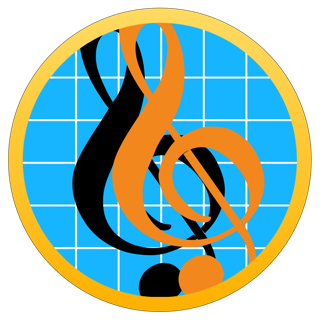 No musical training is required, and the interface is well designed for the small screen. * Use any of six chord buttons, initially set to common chords so you can easily accompany your singing or play along on most popular tunes. * Reconfigure chord buttons to get any of more than 150 possible chords for each key. You don't need to understand music theory, but if want to learn more about it, the autoharp is a great way to experiment. * Try picking out a melody by "pinching" subsets of strings with two fingers. 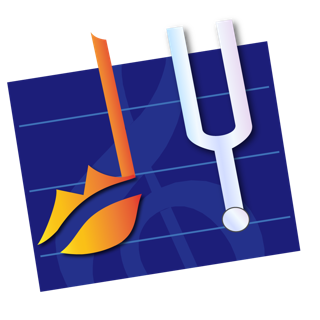 Please look for other apps by HotPaw Productions in the Music category of the App store: the inTuna Strobe Guitar Tuner, Music Spectrograph, and Sing-inTuna, to visualize if you can sing in tune. Added Core MIDI support, better iOS 7 support, plus a few bug fixes. If your needs are simple, as mine are, iAutoharp serves the purpose. I use it for chord accompaniment to chanting the Psalms. 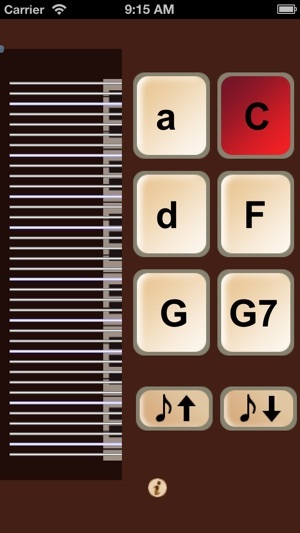 In the future, I hope the developer will add a sustaining feature for smoother transitions from one chord to another. I love playing this but I would love it more if I could use audiobus to record it and I would love it most if I could record the midi output.